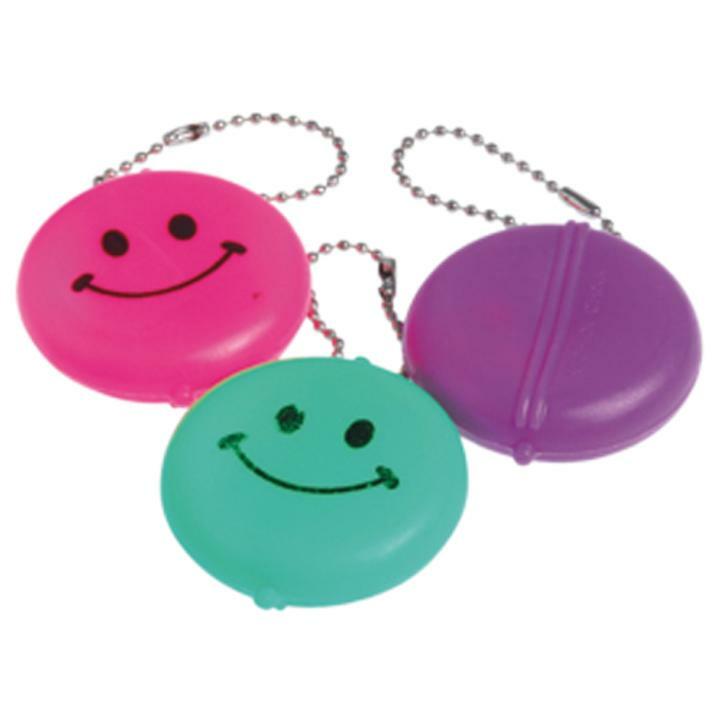 Cheap Smile Round Face Purse Keychains - 12 Ct.
Keep coins safe and secure with this smiley face coin purse keychain. The purses come in assorted colors. Made of vinyl. Stock up on all your smiley face party supply needs. We have the favors and costume accessories s to keep a smile on your guests at your next Smile face event. Keep the smiles coming with our smiling items. L: 6.95 in. W: 2.15 in. H: 8.1 in.